These moments (for me) can be few and far between. Very rarely have I felt good enough to put myself on the same playing field as superwoman. So I created this post to help those of you out there who either need a pick me up or are ready to conquer your enemies. DO NOT, I repeat, DO NOT compare yourself to others. EVER. We are all very different people. We are all in different places, struggling with different things. So, isn't it unfair to compare yourself to people who you not only have no idea what could be going on internally (what their thoughts and feelings are), but also are in completely different circumstances than you? Keep this in mind the next time you begin to compare yourself to others. If you're thinking about the bad score you got on your math test, or about how you tripped and fell in dance class, then I can already tell you your thoughts are headed down the wrong path. Do a mental analysis. What are you thinking about? Does that thought make a pang come to your heart? Does it bring you down or make you feel icky? If so, stop that thought. Remove it from your head. It has absolutely no business hanging out in your mental space. Related post: How to deal with your inner critics and icky thoughts. + Find your empowering item. I don't know why, but wearing black lipstick makes me feel good. Like, really really good. Find something that makes you feel good. Whether it be a lip piercing, hair dye or rainbow socks, find it and flaunt it. Don't be afraid of what other people think because this is for you, not them. What they have to say doesn't matter because when you put on your empowering item, you should begin to feel like a pre-superhero - almost there but not quite. + Look people in the eye. Looking people in the eye and engaging in conversation - as scary as that may be sometimes - is actually a really good way of warming yourself up to use your superpowers. The next time you go out in public, whether it be to the grocery store or a dance party, I challenge you to start up a conversation with someone. Ask the cashier about their day. Complement someone on their eyes. Try to spread smiles as you go. Let the people around you catch a glimpse of who you are. Whatever you do, do it with enthusiasm and warmth. Lengthen your spine, keep your shoulders back and hold your head high. You are a superhuman. You are strong, capable and confident. You have the right words, the right personality, the right amount of sass. You are a great, magnificent contribution to this world and you have the power to overcome anything you set your mind to. 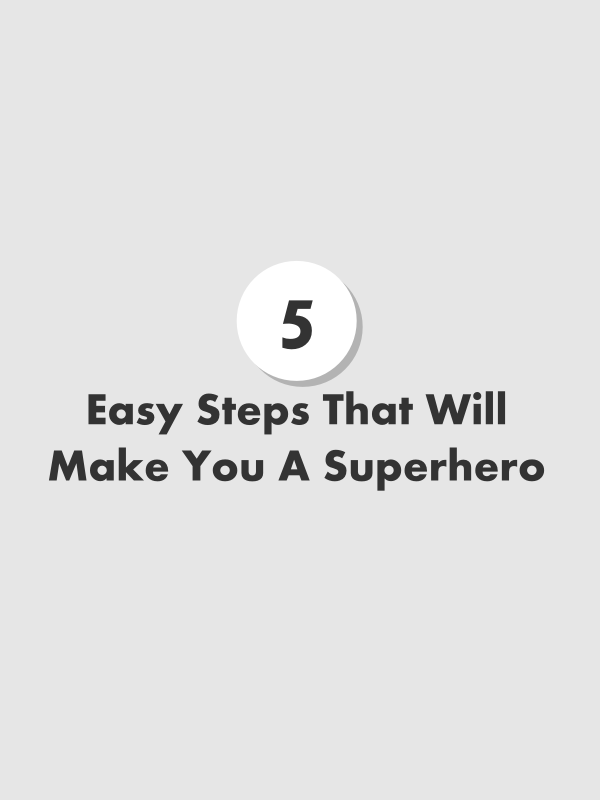 The only person holding you back from reaching your full superhero awesomeness is, well, you. If you could pick one super power, which would you choose and why?